Is it possible that all good literary editors were killed during the war? 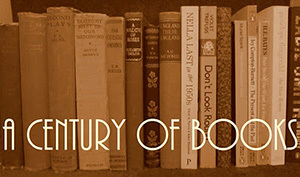 Or they abandoned literature for higher aims post 1945? Or maybe they just all became secret drinkers and spent their afternoons dozing rather than doing their work? Somewhere there is an answer. 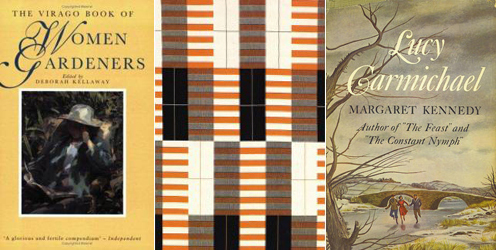 The question comes in the form of a book, or many books: the entire post-war output of Angela Thirkell. I’ve recently finished rereading County Chronicle, the 1950 entry into her best selling Barsetshire series, and if ever there were a book in need of an editor, this is it. The story opens where the last one, The Old Bank House, finished. Lucy Marling and the wealthy industrialist Sam Adams have just become engaged and Lucy is girding herself to break the news to her parents. Sam Adams has come a long way since he was first introduced in The Headmistress, with his rough edges slightly smoothed thanks to his friend Mrs Belton but, more importantly, with the citizens of Barsetshire considerably mellowed by the passage of time and the upheaval of war. To marry into an established gentry family like the Marlings would have been unthinkable a few years before. Now, it is greeted with happiness by one and all. But that happiness extends for far, far too long. The first hundred pages of County Chronicle are concerned with Lucy and Mr Adams wedding preparations. And then the next hundred pages are devoted to parties (none of which is a combined Conservative rally/pig show, so, really just a waste of time) . It’s only with the last hundred or so pages that Thirkell finally decides to pull a plot together. So delighted was Mr Marling by this intelligence that his wife was quite prepared for him to kiss Miss Dale by way of cementing this common dislike of the Bishop. Isabel’s fiancé died during the war and there has been no hint of romance since then. 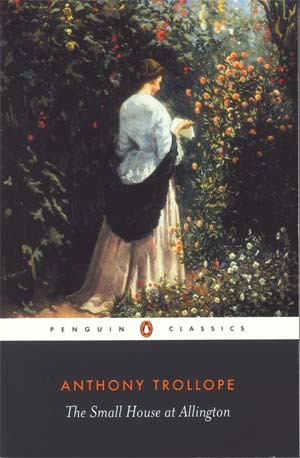 She is able to resist the non-existent charms of Oliver Marling, the son of the house, who toys with the idea of marrying her briefly at the end of the book, feeling “that he might reward her for her sympathy by offering her his hand, his now quite good income and the privilege of hearing him talk about himself forever.” What she finds more difficult to resist is the quiet, calm appeal of Jeff Palliser, Lord Silverbridge and heir to the Duke of Omnium. The days of splendour for the Pallisers are long past; the family is getting by but there is no money to spare – and certainly not enough to allow Jeff to stand for parliament, the one thing he would really like to do. So instead he contents himself by working at a wartime history of the Barsetshires, work which Isabel ably assists him at. As their feelings grow, Jeff’s sister Lady Cora does her best to encourage her brother but, convinced Isabel still loves her dead fiancé and that he has nothing to offer her, he stays silent. Thankfully, a surprisingly and conveniently large inheritance – delightfully gossiped over by everyone in Barsetshire – allows these two to find their happy ending. “I say, mother,” said Charles. “Well, darling?” said Mrs Belton. “You know Clarissa,” said Charles. Mrs Belton said she did and what a charming creature she was. “We’re not in love, you know,” said Charles. Mrs Belton said of course not. Mrs Belton said she quite agreed. “I had a few words with Clarissa this afternoon,” said Charles in a manner which the words dégagé and insouciant do not at all adequately describe, “and we thought we might make a do of it. Sometime, I mean, not now,” he added, lest his mother should have visions of a Fleet marriage with a curtain ring. Charles said with evident relief that that was about it, a sentence which his mother appeared to comprehend perfectly. He then kicked the side of the bed in a way that made his mother want to kill him, kissed her with absent-minded affection and went out of the room, shutting the door so hard that it came open again, which annoyed his mother so much that she nearly called him back. That exchange is classic Thirkell. But it is one of the very few flashes of it in this otherwise quite dreary book. Thirkell is, as she was wont to do in her post-war novels, playing with far too large a cast and losing track of them in the process. Her truly funny moments – Oliver Marling’s disgust when the object of his unrequited passion, Jessica Dean, announces her pregnancy; Charles and Clarissa’s dealings with their parents; the Duke of Omnium’s quest for imaginary book titles – get lost among the dreary exchanges between characters we love but have no need to see this time around and some outrageously racist reminiscences from Bishop Joram on his African parishioners. What a lot of difference a good editor would have made to this book! As I’ve said before, one of the great pleasures of reading P.G. Wodehouse: A Life in Letters edited by Sophie Ratcliffe has been learning Plum’s thoughts on books and other authors. I’ve shared how he loved Denis Mackail’s Greenery Street and came to a belated but deep enjoyment of the works of Anthony Trollope. Talking of books, as we so often do when we get together, ought I to be ashamed to confessing to you a furtive fondness for Angela Thirkell? You told me once that she bullied you when you were a child, and for years I refused austerely to read her. But recently Wild Strawberries and Pomfret Towers have weakened me. I do think she’s good, though if we are roasting her I will add that August Folly was rotten and I couldn’t get through it. He’s clearly wrong about August Folly (who doesn’t love the the awfulness of Richard Tebben? And the excessive number of Jane Austen allusions? And a village that puts on Hippolytus as casual recreation?) but I can forgive him that for otherwise seeing the light. The Headmistress is probably my very favourite of Thirkell’s books and, having struggled to find a second-hand copy, I am delighted at the prospect of adding it to my library. That said, I continue to object to Virago’s frankly irritating decision to release additional books in e-editions only, as they are doing with Growing Up and Peace Breaks Out. While I’d agree the three books they are printing this time around are better than the two being released as e-books, I’d still prefer a complete set. 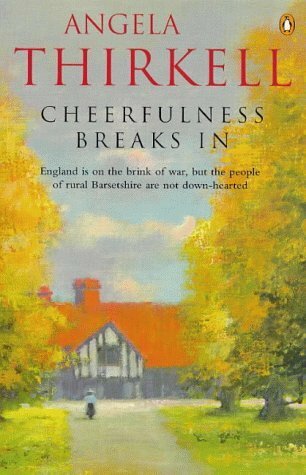 And I will never feel resigned to Cheerfulness Breaks In, my sentimental favourite of the series, being released as an e-book only. I’m not sure what, if any, their plans are for future releases – Thirkell’s post-war works are pretty sloppy – so hopefully they might go back and fill in these few gaps with proper reprints one day. We can only hope and encourage them! 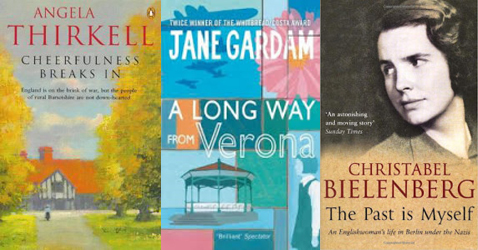 As you might recall, Virago will be releasing four Angela Thirkell titles this May: Before Lunch, Cheerfulness Breaks In, Northbridge Rectory, and Growing Up. The covers for Before Lunch and Northbridge Rectory have now been released and both look lovely. Irritatingly, Cheerfulness Breaks In and Growing Up are only being released as e-books but I shall still rejoice that they will be more readily available to the reading public now. Privately, I shall brood and weep over the neglect for two of my favourite books in the series. Admittedly, Before Lunch and Northbridge Rectory are two of my least favourite Thirkells (I abandoned a reread of Northbridge Rectory earlier this summer, fed up by its pedantic preoccupation with slang and poor pronunciation), but the other three are favourites and Thirkell releases are always good news! These books move us into the war years so I’m keeping my fingers crossed that the other wartime books aren’t far behind. A Virago edition of The Headmistress would make me levitate with happiness. An inspiring and eclectic collection of garden writing from the 17th Century to the 20th. I have had a number of underwhelming encounters with Persephone books this year – but this was not one of them. On the Other Side, a collection of letters Wolff-Mönckeberg wrote for her adult children to explain what it was like to live in Germany during the Second World War, is one of the most thoughtful and important books I have read in a long time. A very charming, very poignant childhood memoir from the beloved illustrator. The sequel, Drawn from Life, was also very good. A wartime memoir unlike any other I’ve read – and goodness knows I’ve read too many. Ranfurly’s wanderings during the Second World War as she was posted through the Middle East, North Africa, and Southern Europe made for absolutely fascinating reading. They exposed me to a theatre of war I’ve read far too little about and focused on the sort of details I love best: fascinating people, major world events, and behind-the-scenes insights. I chose to start 2014 off in style, with the story in which P.G. Wodehouse introduced his finest creation, Psmith, to world. My great dilemma in life is whether I wish to be taken under the wing of a Psmith-like creature or to be Psmith-like myself. I struggle with this daily. Not Thirkell’s best Barsetshire novel but, nevertheless, one of my personal favourites as it follows my favourite Thirkell characters (read: Lydia) through the first months of the Second World War. Structurally it has some obvious flaws and its un-Thirkell-like jingoism is jarring but it has more than enough emotional heft to make up for these shortcomings. I am willing to forgive a lot – including Thirkell’s patriotic sentimentality – for the sheer joy expressed by Mrs. and Mr. Birkett in the opening pages as they prepare to offload their featherbrained daughter Rose. A book that never disappoints no matter how many times I reread it. Reading this back in January started off an obsession with Gardam. Though some of her other novels are equally excellent (God on the Rocks and Old Filth in particular), this was my first and remains my favourite. The story of a precocious school girl during the Second World War, it is inventive, terribly funny, and more than a little bit bizarre. I adored it. Bielenberg’s chilling, thriller-like memoir of life in Germany during the Second World War. The penultimate Barsetshire book, I fell in love with The Small House at Allington as soon as I started reading it. This is Trollope at his most masterful, deftly juggling multiple storylines and a handful of equally-compelling central characters. I am fascinated by Lily Dale, anxious for Johnny Eames, and wildly conflicted over the fate of Aldolphus Crosbie, who I liked far more than any reader is supposed to like the man who jilts the heroine. Brilliant and perfectly executed, this was the uncontested highlight of my reading year. Sometimes, there is no accounting for what makes a book a favourite. I’ve read twenty-three of Angela Thirkell’s Barsetshire books now and, without even having to think about it, I can list off which ones I think are her best. That said, my personal favourite ranks nowhere near the top of that list. While the rest of her war-time novels are uniformly strong, Cheerfulness Breaks In, which focuses on the first year of the war, is disjointed, clumsy and full of decidedly un-Thirkell-like jingoism. Despite these flaws, I adore it and have reread it five times since first discovering Thirkell in 2011. Cheerfulness Breaks In opens with the wedding of Rose Birkett, the feather-brained and oft-engaged daughter of the much beloved headmaster of Southbridge school. Manhandled down the aisle by her family, friends, and fiancé, the Birketts are shamefully delighted to be free of their exhausting daughter. 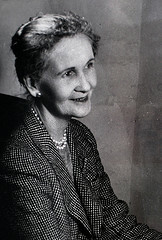 But one trial is about to be exchanged for another: they may be free of Rose (safely on the other side of the Atlantic, stationed in South America with her naval husband) but the war has just started and Southbridge is to play host to the evacuated Hosier’s Boys Foundation School from London. Nearby, Lydia Keith, now twenty one (by Thirkell’s bizarre counting, which has little to do with arithmetic as we know it), has harnessed her energy and forcefulness for good. Though “her family had thought that when she left school she might wish to train for some sort of work in which swashbuckling is a desirable quality,” Lydia has instead chosen to stay at home, running the estate and caring for her invalid mother. She is no less blunt and unromantic than before – “To all such young men as were prepared to accept her as an equal Lydia extended a crushing handshake and the privilege of listening to her views on all subjects” – but she has moved beyond her girlhood. While her girlfriends have exchanged Barsetshire High School for nursing wards and her closest friend, Noel Merton, has left his lawyer’s chambers for a military career, Lydia is bossing about matrons at Red Cross sewing parties and dishing out rabbit stew to grubby evacuees. It’s not a particularly romantic life but, nonetheless, Lydia is our heroine. Since she has always been my personal heroine, ever since her first appearance as a gauche sixteen year old, it is not difficult then to understand why I love this book. At the beginning of the war, Laura Morland moves in with the Birketts for the duration, having let her house in High Rising to friends from London. This brings her into contact with members of the school community (familiar from Summer Half) but also other, less familiar neighbours. There are Miss Bent and Miss Hampton, Barsetshire’s most entertaining and alcoholic lesbian couple, and, with the arrival of Hosier’s Boys Foundation School, there are Mr. And Mrs. Bissell. The principal of Hosier’s, at first Mr. Bissell and his wife seemed like everything the Birketts had feared: common and Communist, they are the antithesis of Conservative, middle-class Barsetshire. But, rather to everyone’s delight, Southbridge discovers that it is more broadminded than previously suspected and the Bissell’s find that the middle classes aren’t as entirely useless as they’d expected them to be. Also, the lubricating powers of alcohol in easing class tensions are appreciated by all. These details are what make Thirkell’s wartime books so good and yet there are far too few here. Yes, we hear a little about shirkers who run away to America (excellent plan, FYI) and repulsive refugees and evacuees, but even they are dealt with gently by Thirkell, which is entirely out of character. And still, despite its flaws, I love it. I love all the drinks parties at Southbridge, I love Noel Merton’s inability to keep himself from getting promoted, and, most of all, I love everything related to the admirable Lydia. It may not be Thirkell’s best but I love it.